THE SOCIAL DEMOCRATS have hit out at Fine Gael at the party’s final press conference ahead of Friday’s general election. The former junior health minister accused the senior coalition partner of creating a “divided society” while in power. Meanwhile, during last night’s leaders’ debate on RTÉ the Taoiseach appeared to admit, for the first time, appointing John McNulty to the board of the Irish Museum of Modern Art. 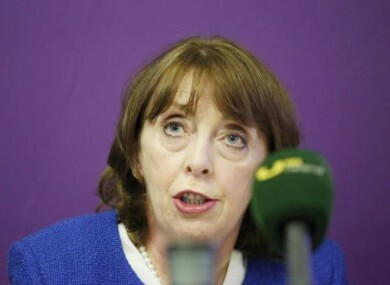 Referring to this and other issues – such as garda whistleblowers and the resignation of Garda Commissioner Martin Callinnan – Shortall said: “There has been umpteen examples of where the Taoiseach has been tested and he has been found wanting. He has only done the right thing when he has had no choice because public opinion has got to such a pitch that he has had to back down on what he’s been proposing to do. Shortall also criticised her former party, saying she is “not especially surprised” to see Labour performing poorly in opinion polls, adding it will likely be a “difficult” election for them. Shortall and Murphy both denied the SocDems’ policies lack substance, saying their manifesto is costed and sets out a clear plan for the next 10 years. When asked about the possibility of a Fianna Fáil, Renua, Labour and SocDem coalition, Shortall said such a combination would be “strange”. “We’re not interested in more of the same. We will only consider participating in a government if that government is going to bring the country in a new direction” she added. Email “'There's a reason no Fine Gael government has ever been re-elected' - former minister”. Feedback on “'There's a reason no Fine Gael government has ever been re-elected' - former minister”.